Weber (shown), succeeds Jamal El-Hout at Opel. MUNICH -- Frank Weber, the engineer in charge of developing the Chevrolet Volt electric car, will head product planning at Opel. Weber, 43, succeeds Jamal El-Hout, who is retiring at the end of the year. Currently El-Hout is responsible for Opel's planning and commercial vehicle operations. His responsibilities in the light commercial vehicle area will be taken over by Chris Lacey, head of GM's central and eastern Europe operations. 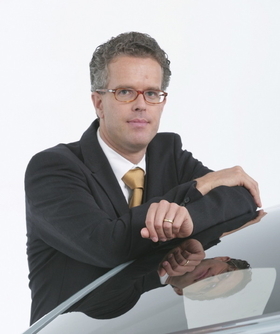 Weber is a German native who joined Opel in 1991 after finishing his engineering studies at Darmstadt University. He held several leading positions in the technical development center in Ruesselsheim such as director of advanced concept engineering. In 2007, he moved to Warren, Michigan, to lead the development of GM's electric vehicle program. "The appointment of Weber is an acknowledgment of our commitment to develop environmentally friendly technologies for the future and the clear goal of launching the Opel Ampera electric car in 2011," Opel interim chief Nick Reilly said in a statement. The Ampera is a sister model to the Volt, which is due to launch in late 2010. GM said last month that Weber would return to Germany from Michigan but did not disclose his new role at Opel, saying at the time only that he would take a senior management role.